Kelly Clarkson and Brandon Blackstock are having a girl! Kelly Clarkson seems to be enjoying her pregnancy, despite being sick most of the time. She announced to the world she is having a baby girl. 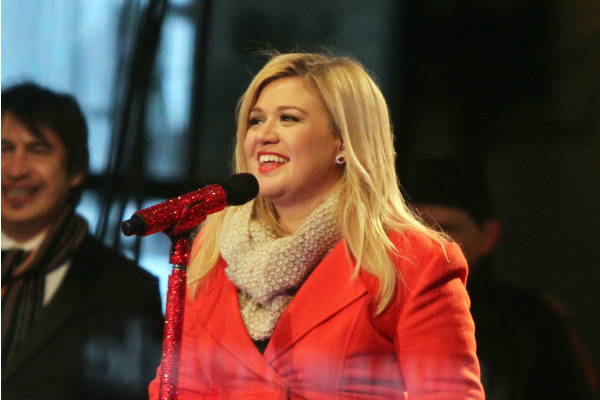 It seems that Kelly Clarkson‘s life just keeps getting better and better. The singer became engaged, got married and found out she was pregnant all in the last year. And now she knows she is having a baby girl. Clarkson tweeted the news on Monday morning, Jan. 20. She also told Ellen DeGeneres the same thing back in December. The baby will be Clarkson’s first, but Blackstock’s third. He has two children, 6-year-old Seth and 12-year-old Savannah, with his ex-wife Melissa. Clarkson really loves being a stepmom, and it looks like Melissa is happy with Blackstock’s new wife as well. Clarkson is excitedly looking forward to having her baby, and for now is enjoying the little things in life — but mostly those things that don’t make her sick.